Recoverthol is an Australian hangover prevention drop which was created and launched in 2018 by a scientist from Queensland. We’re always on the lookout for the latest hangover related supplements which come on the market. Naturally, we wanted to find out more about Recoverthol. Supplements designed to support you through hangovers are booming nowadays and it can be difficult to decide which one is right for you. Many contain medicinal ingredients or caffeine which can have detrimental effects. Others simply lack the key ingredients which can actually make a difference to your hangovers. But that doesn’t mean that there aren’t some quality supplements out there – you just need to know what to look for and at what dose. Before we get started, its important to note that theres no such thing a “hangover cure” and most supplements on the market today aim to support your liver with its normal detoxifying functions. With that being said, we are going to take a close look at Recoverthols ingredients and customer experiences to see whether its a product worth investing in. So, with the introductions out of the way, let’s start taking a close look at Recoverthol to see where it stands in the hangover space. Recoverthol claims it includes ingredients which are the precursors in the production of NAD. Well, when you drink, alcohol is metabolised by your liver by an enzyme called alcohol dehydrogenase (a.k.a ALDH). This enzyme is quickly used up after a small amount of alcohol – which is typically one or two drinks in an hour. Therefore, alcohol builds up in your blood stream making you more and more tipsy. This backlog also leads to the buildup of the toxic by-products of alcohol. The main one of which is called acetaldehyde. 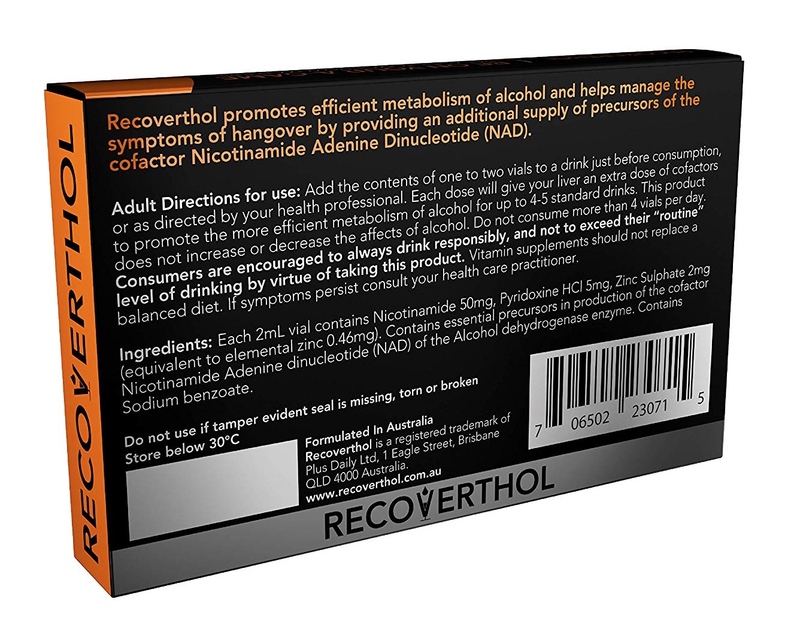 Recoverthol’s main function is to regenerate NAD which basically frees up ALDH to break down more alcohol. Now thats enough with the technical stuff. Recoverthol’s makers have also designed a mobile app which educates you on how different drinks effect the body. 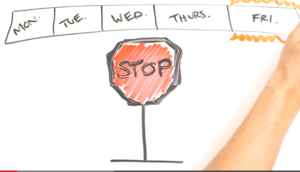 Either way, we’ve learnt from experience not to pay too much attention to marketing tactics. The best way to find out whether a product actually works is to examine the ingredients. So, lets get straight into inspecting the label. Nicotinamide 50mg – Also known as vitamin B3. Yes – thats all folks. two vitamins and one mineral is all you get with Recoverthol. Alcohol is an irritant: It’s a toxin that causes inflammation of the stomach lining. This may contribute to feeling nauseous. Alcohol’s by-products are toxic: as mentioned earlier, acetaldehyde is a major “free-radical”. Its a highly reactive substance that reacts with cells it comes into contact with. Your body has a natural antioxidant system to prevent this from getting out of hand, however it becomes over run when drinking. Overall, we think the three ingredients in Recoverthol may support your liver in some aspects, but its missing a few others. Most of the top hangover supplements include all the ingredients Recoverthol uses plus many more. We always like to see these ingredients included to cover all bases when it comes to hangovers. How do you take Recoverthol? 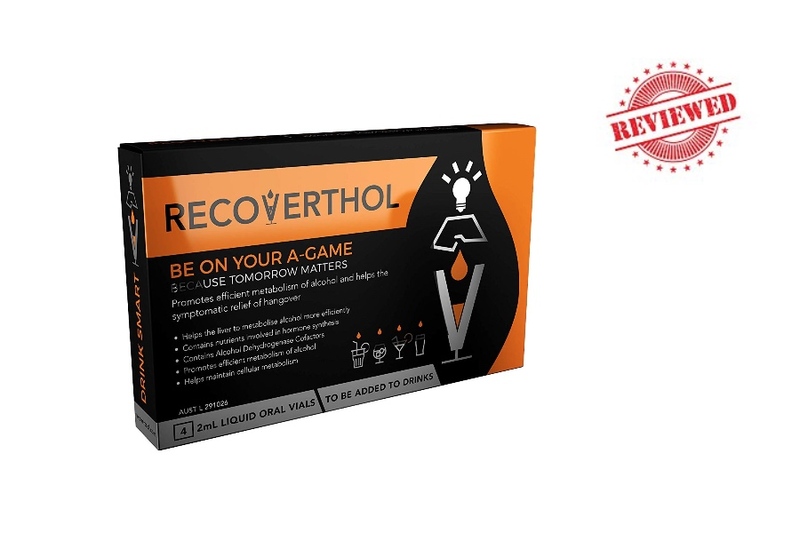 Recoverthol is a liquid drop that you add to your drink. The manufactures suggest adding it to your first drink which will cover you for about 4 drinks in total. Therefore if you’re drinking more than this in a course of the night, you’ll need to add a second vial to a drink somewhere in the middle of your session. Now, I don’t know about you, but remembering to take the vials out with you and adding it to your drinks doesn’t sound too appealing. Particularly as you may start to forget that you’ve even got them on you. They also mention that adding Recoverthol to your drink shouldn’t effect the taste. You should always carefully check the ingredients label yourself before trying a supplement for the first time. Recoverthol uses ingredients which are present in essentially most of the food we eat on a daily basis, however in a concentrated amount. The B-vitamins are water soluble, which means that any excess is easily filtered by your kidney and removed in your urine. One of Recoverthol’s ingredients, vitamin B3, is included at a high dose of 50mg. 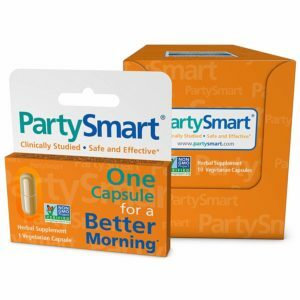 Normal daily requirements are around 15mg but it’s not unusual to see higher amounts included in hangover supplements. The only issue is that high doses of Vitamin B3 in particular can cause stomach aches. As its a new product, there are only a handful of reviews online on their facebook page. At the time of writing, Recoverthol has 47 reviews on their Facebook business page. All of which are 5 out of 5 and overwhelmingly positive. We’ll let you make your mind up about the likelihood of this. Not really. 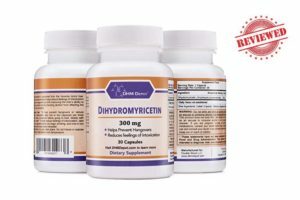 Recoverthol drops only contain three ingredients which are also included in all the top products on the market today. Also, taking the drops out with us and adding it to our drink isn’t ideal. Check out our updated guide to the leading hangover supplements by following the link shown below. As with all supplements, a miracle cure is off the cards. Sticking to the basics is key to preventing the worst hangovers. Eating a full meal before going out as well as keeping hydrated and sticking to lighter coloured drinks will all go further than hangover supplements. That being said, a good hangover product can make a difference if added to your routine appropriately. So, that wraps up our Recoverthol hangover drop review. Overall, it lacks quite a few key ingredients and we aren’t too keen on drops being added to our drink. There are certainly some superior products on the market right now (which use important ingredients such as Ginger and DHM) if you’re willing to pay a little bit more. You can see our pick of the leading supplements on the market right now through the page below.